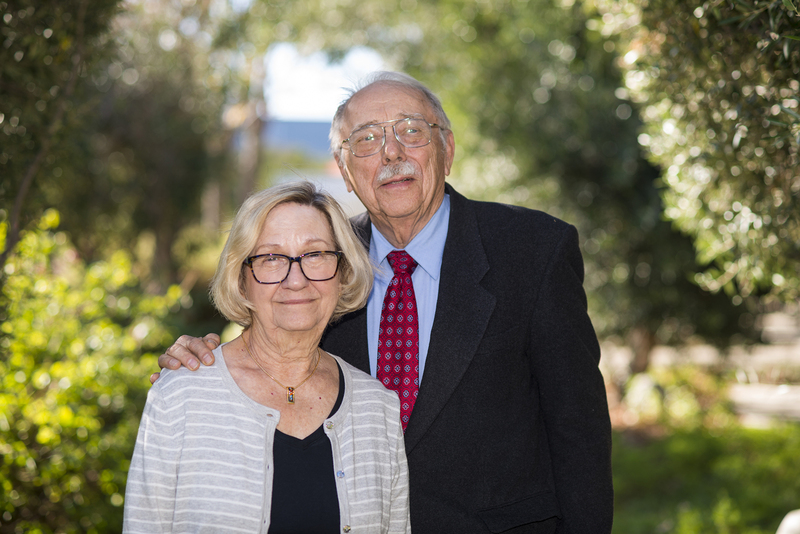 Jackie and Ted Eckberg were able to help CSUN and themselves through a charitable gift annuity. Photo by David J. Hawkins. When California State University, Northridge alumna Jackie Eckberg ‘88 (History) and her husband Ted received stock as a gift from Ted’s father, they weren’t sure what to do with it. The stock was old enough to be issued on paper. “My father worked for the phone company from 1932 until he retired,” he said. “A discount stock program for employees started in about the early 1940s, and he just let it roll over, not bothering to take out the dividends.” The calculations and paperwork required to bring the stock up to date in value — and the capital gains taxes the Eckbergs would face — kept them from acting for a long time. CSUN is a special place to the Eckberg family, as Jackie, her two daughters and Ted’s cousin are all Matadors. Luckily for Jackie and Ted, a recent return visit to campus by Jackie after a long absence yielded a solution to their stock problem: Converting the stock into a charitable gift annuity (CGA) would not only ease their financial burden, but also help CSUN continue its mission of student success. The Eckberg’s CGA will benefit the College of Social and Behavioral Sciences to fund the future Jackie Eckberg History Scholarship Endowment. A CGA is a contract in which a person transfers an asset (cash or appreciated assets, such as stock) to the annuity, and in exchange the university agrees to make fixed payments for life to that person, that person and a loved one, or another person. The older the recipient of the payment, the higher the payout rate. There are great tax advantages to CGAs as well. Annuitants can take an immediate tax deduction on the amount that will eventually be received as the gift by the university, and they can bypass a considerable amount of capital gains tax on the appreciated securities. In addition, a portion of the fixed income received can be tax free.